I was in the middle of leading a workshop for a group of teachers in my district yesterday when my phone started to buzz. One of my blog posts was getting hit with a lot of comments, and the emails came flying in all at once. Our lunch break was ending, so I took a quick peak and was positively mortified by what I saw. To say the comments were mean-spirited, or examples of cyberbullying, would be putting it mildly. Instead I’ll simply describe it as a few teenagers making some extremely poor decisions about how they could degrade one another in a very public and foul manner. Not having the time to deal with the matter directly, I turned to Twitter to help ferret out someone from the district in an attempt to have someone “catch” the students in the act, and help them make some better decisions. Twitter answered my plea in the best way possible! At first, I thought I was being a bit of a narc, but after a moment of reflection, I realized it was an amazing show of assistance and support from educators across my PLN in Michigan working together to help stop some students in Kentucky from making some even worse decisions. While I began the afternoon portion of my workshop, a colleague in my district tracked down the Twitter handle for the district in which the students were commenting from, the offending comments still pouring in on my blog mind you. The person running the Twitter account for Jessamine County Public Schools stepped in to help. @techsavvyed @beckdbeck Administrators at the school have been notified.Thank you very much for the tip. I then took the opportunity to “unapprove” the comments so I could retain the information. You see, while people like to make poor choices they aren’t always thinking as clearly as they could be. Rather than a horde of students commenting and bullying one another on my blog, it actually appeared to be just a small handful of students submitting the comments under the names of their fellow classmates in an attempt to get them into trouble. While submitting the comments, they used the same email addresses for each comment. In fact, two email addresses came up most often. I’m going to assume that the email addresses used by the culprits were in fact legitimate because after a bit of clever google searching, I discovered one of the email addresses attached to a couple of forums where teens were looking to score some “suboxone”, a drug that is currently on the rise for being abused by teenagers looking to get high. I’m not sure if there’s necessarily a connection between two destructive behaviors, so I’ll just leave that point rest. The important point is that whoever left the comments on my blog most likely either used their actual email address, or was clever enough to find an email address that made it look like someone else was posting. My hope is that the student or students involved down in Jessamine were identified, because they obviously need some sort of positive attention and modeling in their lives right now. Just a few minutes after the first tweet from the school, this one came across the wire. @JessCoSchools Would love contact info for admin, thanks! Suffice it to say, I gathered all of the pertinent evidence, and this afternoon sent it to the principal of the school along with the following email. 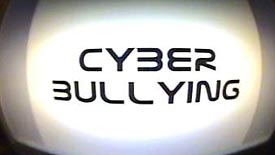 As I’m sure you have been made well aware of, yesterday there was a cyberbullying incident in which at least one or more of your students made some very poor decisions in posting public comments on my blog. I wanted to sympathize with any frustration or disappointment you might be feeling. Please know that as an educator I understand that individuals make poor decisions, and I hope that you and your staff can use this as an opportunity to create a valuable learning experience for these students or student involved. I will be removing the comments from my blog post shortly, but I felt an obligation to connect with you and make sure that you had any and all information you needed to make sure that you can address this issue. I’m including the emails the students used to comment on my blog and a link to a valuable website that I’ve used in the past with students to help promote the idea of being a responsible digital citizen (http://www.digizen.org/). If you require anything else of me, please ask. The point I’m trying to make here is that with the help of Twitter, and a sense of “let’s get to the bottom of this” a bunch of educators dedicated to helping prevent the kind of bullying that happens inside our schools everyday were able to help identify some students several state away that are in need of some help. I certainly don’t wish for this student or students to simply be punished. I genuinely feel that someone willing to write the horrible comments that appeared on my blog yesterday, and attribute them to someone else in an attempt to blame them, needs some guidance. I hope that they get that from the staff and learning community down in Jessamine County.